If markets were 100% efficient there would not be any trading. When new information was made available to the market, everybody would simply adjust their price expectations. Since trading happens, markets are not efficient. The efficient market hypothesis can, therefore, easily be shown to be wrong. Yet it is still a good approximation which makes portfolio theory sufficiently mathematically tractable to write papers about it and win Nobel prizes, say. Insofar efficient market theory is a close approximation of reality, the best trading strategy is not to trade at all (see paragraph 1). However, the more popular this becomes, the more difficult it becomes to estimate asset prices. Buy&Hold on a large scale, therefore, makes asset prices more volatile. The more popular buy&hold becomes, the closer index returns will be to GDP growth, that is, around 3% in real growth. Any growth beyond this is rightfully attributed to investing becoming more popular, hence it is only possible to get the historic 10% returns, if you are actually part of the history where fewer people were equity investors. When everybody becomes equity investors as part of their retirement strategy, buying and selling will not depend on whether business conditions are good (the prioritizing based on the individual merits of a business having already been destroyed by blindly investing in indexing) but on whether people are retiring(*). Hence, if large numbers of people are retiring, expect the markets to drop. If large numbers of people are entering the work force, expect the markets to rise. It would seem that retiring baby boomers can keep markets depressed for quite some time. (*) This attitude is dangerous towards business conditions. Hopefully, professionals will keep trying to reward good companies insofar that they have the money to do so with more money being invested solely based on the stock price or current capitalization. 17 users responded in " Efficient markets have zero returns "
Jeez, Jacob, for a smart guy you say some pretty dumb things sometimes. Efficient markets don’t mean that everyone agrees on the value of every asset. Trading is the mechanism by which the going price gets adjusted to the “efficient value”. Trading proceeds as long as there is a bid price that exceeds an ask price. When an asset’s value changes, someone who owns it will figure that out and reduce his asking price; if that brings the ask price below someone else’s bid, you have a trade. That’s how the market price changes to reflect the asset’s new value. Efficient markets don’t require omniscient participants. Furthermore, the “efficient market theory” is everyone’s favourite straw-man. There’s no such thing as far as I know. I don’t think any rational person would believe any market always prices an asset in accordance with its inherent value. What there is is the “efficient-market hypothesis“, which is a null hypothesis against which one measures an alternative hypothesis (like “this asset is worth X dollars”). @Patrick – I thought the very definition of an efficient market was that everybody agreed on the value of a stock at all times. Or are we talking about the value of a stock relative to, say, the value of a new toaster? If it is the former, then if it became known that the value was $200 instead of $100, everybody would simply double their bid and asks, from, say 99/101 to 198/202 and no trades would take place. The degree to which trades take place is a measure of the inefficiency of the market. Jacob Have you read any of Harry Dent work on population demographics in relation to the markers, because your comment, is the essence of what he talks about. Can be an interesting insight into a possiblity many are going to face in the coming years. @Jacob: The efficient market hypothesis supposes that the present market price of an asset reflects all information already known about that asset. It doesn’t suppose that all participants know all information, so the participants are free to disagree, and therefore to continue trading. Regardless, even if everyone knew and agreed upon the correct value of a share in a company, that does not imply zero returns. Shares pay dividends and companies retain earnings to find growth. Even a perfectly stable (risk-free) company in a perfectly efficient market would grow in value and/or pay dividends over time. Shares in such a company would effectively be a GIC, and should increase in value in step with the time value of money. Interesting theory on the boomers depressing the markets BTW. You may be on to something there. However, as someone who will be a net purchaser of stocks for the foreseeable future, I welcome anything (within reason!) that makes them cheaper for me to buy. I also think that these resulting lower prices will make stocks that much more attractive from the point of view of P/E and earnings yield, possibly attracting more money that’s currently invested in other assets. I wouldn’t mind seeing us return to an era of P/Es in the 10-15 range and dividend yields up around 4%! This is interesting. This tidal wave of retirement is assuming of course that the average Boomer can afford to retire. In particular, those considering their house to be part of their assets will find it difficult to sell and downsize to a retirement condo. The market for $300,000+ homes is still gridlocked. But working is both less attractive and less practical when you’re 75 instead of 65. Reading through the AARP website is a gold mine (rare earth element mine?) of information on senior priorities and concerns. Articles like “Rebuilding Your Nest Egg: Working longer while contributing to your 401(k) can boost your balance” (link below) give useful insights to behavior–and scary statistics like “33 percent of all household financial assets in the United States” are in “defined contribution plans such as 401(k)s.” That means fund managers have a lot of influence. I think this would only be true if humans were immortal and perfectly consistent in their investment objectives over time. Neither is the case, so in practice there will always be a certain amount of “lateral move” exchanges, even in an efficient market. E.g., a student inherits a stock portfolio and immediately liquidates it to pay for college. That kind of churn does not imply that markets are inefficient. @Ademac – Haven’t read it, but I heard about his idea. @Patrick – but if the future dividends were known*, wouldn’t that already be factored into the present value of the stock? *Known meaning you could assume the current level of dividends going forward plus historical annual increases factored in. I think the theory that baby boomers will cash out at retirement is a little naive. Ask yourself if you plan to cash out when you hit your retirement date. Even if folks jump into fixed annuities the money will be invested in some stocks by the insurance company. We need to see more people questioning the basic premises of the failed Passive Investing model. So I heartily approve of this thoughtful blog entry. I do not agree that efficient markets have zero returns. An efficient market would generate the return justified by the economic realities. For the U.S. market, thats about 6.5 percent real. If our market were efficient, there would be no volatility. Each year stocks would pay something in the neighborhood of 6.5 percent real. I think that would be just wonderful. I think we all should be working to make the market efficient rather than developing nonsense rationalizations that convince us that it already is efficient. The reason why the reckless promotion of Passive Investing for three decades now has caused such a frightening economic crisis is that a belief that Passive Investing can work encourages investors not to do what need to be done to make the market efficient (that is, not to change their stock allocations in response to price changes). The belief in Passive Investing is rooted in a belief that the market is efficient, Paradoxically, the more people believe in Passive Investing, the less efficient the market is. If we could bury the Passive Investing concept 10 feet in the ground, we could have a market far more efficient than the one we today have. @Rob – Thank you. You wrote what I meant and should have written in the blog entry. I should change the title though. @Kevin M: By your argument, GICs don’t provide any returns! Are you familiar with the concept of the time value of money? Sheesh. Where do you guys come up with these perls of wisdom? The efficient-market hypothesis states that asset prices reflect all known information. Since “known information” can change, prices can change. Eliminating volatility doesn’t just require eliminating inefficiency. It also requires eliminating surprises. Good luck with that. That is not true. Adding more traders to the marketplace only increases trading volume. That is one aspect of market efficiency, but by no means the only aspect. Adding more naive traders with self-directed accounts can dilute the overall wisdom of the market, actually hampering efficiency. Suppose, hypothetically, that for every $1 from well-informed investor you have $1000 from gamblers, day traders, and technical analysis, then there’s no reason to think assets should be more fairly priced than if the $1000 went into passive funds and where therefore directed by the decisions of the remaining investors. I’m not saying this reflects reality. I’m just saying that increasing passive investment doesn’t necessarily reduce market efficiency. As has been pointed out already, your premise is totally false, and worthy of only someone with no grasp of markets or math… like perhaps Rob Bennett. People who go to the market to buy food are mostly not arbitraging prices; many just need a loaf of bread, or have bread to sell. Eliminating volatility doesn’t just require eliminating inefficiency. It also requires eliminating surprises. We don’t agree re this one, Patrick. If you look at the historical stock-return data, you will see that there have not been any significant surprises in stock investing in the United States. At least not for the long-term investor. Productivity in the U.S. has been sufficient to support a stock return of 6.5 real going back a long, long way. So long as you adjust your stock allocation as needed in response to big price changes, this is what you get in the long term. Emotion sometimes pushes prices too high and you adjust your allocation down. Emotion sometimes pushes prices too low and you adjust your allocation up. It always works out fine for those who keep a long-term perspective and who do the math. All of the “surprises” were experienced only by investors who believe in Buy-and-Hold Investing, or Passive Investing. Yes, this approach is full of surprises. That’s because it is a 100 percent emotional strategy. There simply is no evidence that valuations do not affect long-term returns. If you invest as if valuations do not affect long-term returns, you are going to be surprised over and over again. That’s one of the prices you pay for electing to by a Buy-and-Hold Investor. Do you know any Rational Investors (those who adjust their allocations in response to big price changes) who were surprised by the stock crash? I do not. Robert Shiller saw it coming. John Walter Russell saw it coming. Rob Arnott saw it coming. Andrew Smithers saw it coming. Ed Easterling saw it coming. Jeremy Grantham saw it coming. What made these people so smart? What made them so smart is that they looked at the historical data to learn how stock investing works before putting their money on the table. Buy-and-Hold Investing is fantasyland investing. I don’t mean to be insulting. But I have studied this in great depth and there is simply no evidence that valuations do not affect long-term returns. If you do not adjust your allocation in response to big price changes, you are taking an extreme long-odds bet (in my view!). If we did away with the promotion of Buy-and-Hold, all investors would be open to investing rationally. Why wouldn’t they? 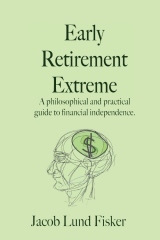 Those who follow the Rational approach are able to retire five years sooner on average. If we all were Rationals, the market price would be self-regulating. Each increase in valuations above fair-value would cause stock sales and the stock sales would bring the valuation level back to fair value. All surprises would be gone. Volatility is optional. Volatility is caused by emotion. Another way of saying it is that volatility is caused by the promotion of Buy-and-Hold Investing. @Rob: I think I’m making a fairly uncontrovercial point: if the public learns something new about an asset, that asset’s fair appraisal can change. This seems almost tautological to me… do we at least agree on this? As for adjusting your allocations based on stock valuations, do you have more information on this? I know that the market performs better when it has a low P/E than when it has a high one — it’s one of the few proven deviations from efficiency — so I’m interested in hearing ideas for taking advantage of that.